My Golf Buddy, a new website dedicated to golfers of all levels, is playing matchmaker to lonely golfers across Canada. George Webber, who describes himself as ‘chief golfing officer,’ founded the website after his regular golfing buddies (his sons) had less time available to play. Webber often found that his ability did not match up well with the people he was paired with. He discovered that it’s not fun for an experienced golfer to be stuck with a beginner, and beginners can feel like they’re holding other players back. This is the main complaint that Webber tried to tackle with his website, pairing prospective partners based on ability level first. Webber says that all those factors are combined into an algorithm, and used to match prospective pairs similar to a dating website. My Golf Buddy works well for partners to initially get in touch with one another, but once a successful pair is made, users will often exchange phone numbers and take it from there. Webber says that this doesn’t bother him since one of the company’s main goals is to make golf more accessible, and get more people involved in the sport. Launched in March of this year, My Golf Buddy currently has around 200 users. The service is free, and Webber says that it will stay that way. “The thing that I’ve learned about business development is that you must have a focus,” said Webber. 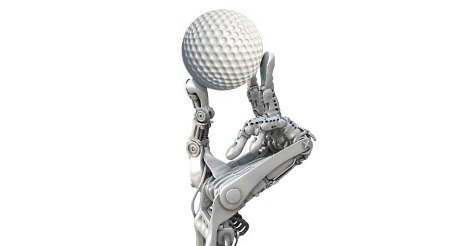 While he could see this technology expanding into other sports markets, for now, the focus will remain golf.